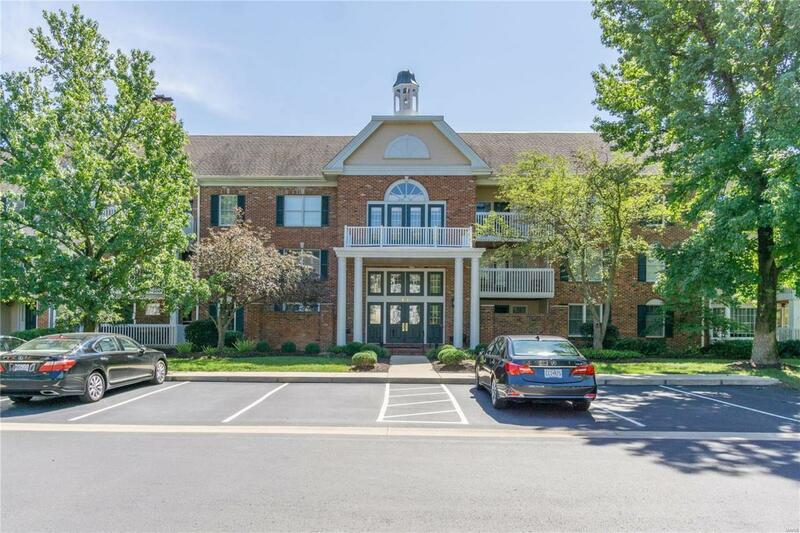 Located in Chesterfield's Baywood Villages, this ground level 2 BR/2 bath condo is one you dont want to miss! 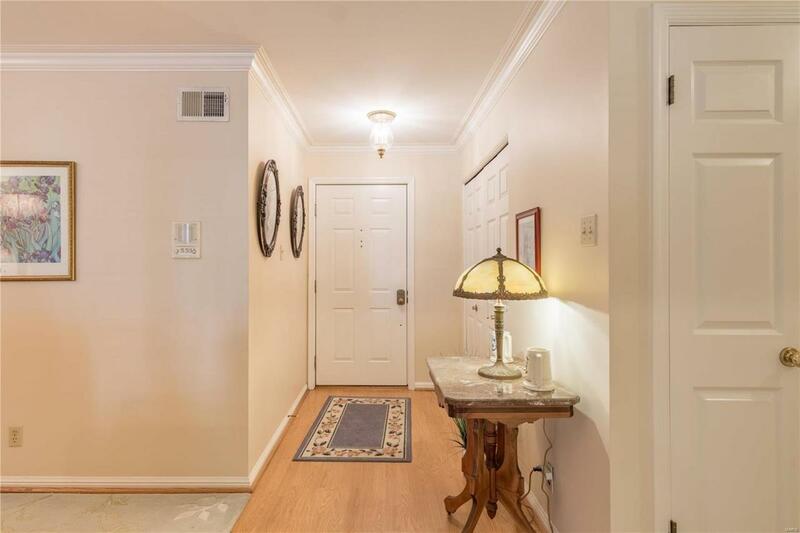 The welcoming foyer opens to spacious living room w remote controlled fireplace, elegant crown molding, laminate wood flooring & door to covered patio. Formal dining rm w crown molding & bay window leads into kitchen w plenty of cabinet & counter space, built in microwave, breakfast bar & nook currently used as an office. Large laundry rm conveniently located off kitchen. 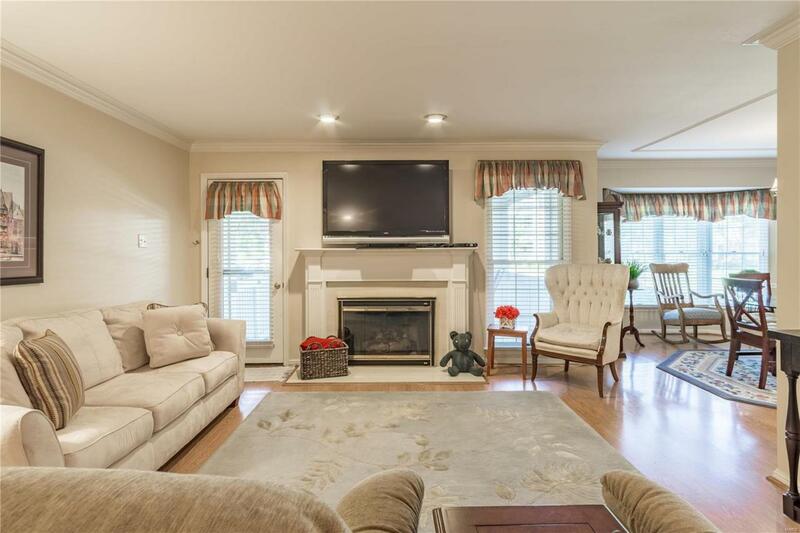 Head down the hall to the master suite featuring crown molding, walk in closet & large attached bath w adult height corner vanity w double sinks, tile flooring, corner jetted tub & glass enclosed shower w seat, oversized shower head plus 6 wall jets. Large 2nd bedroom & hall bath w glass enclosed jetted tub, tile floors & gorgeous hand painted sink. Building features secure entry w intercom, furnished lobby, elevator & bsmt garage w car wash. 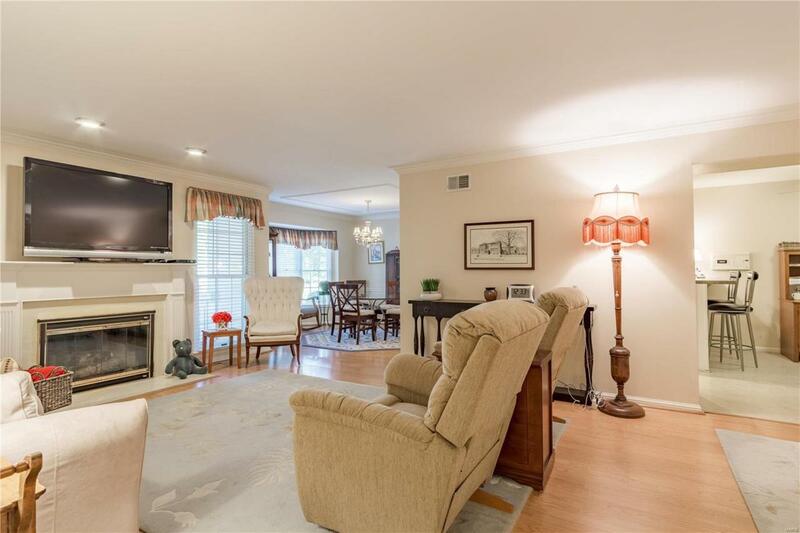 Beautifully maintained community w pool, clubhouse & tennis courts. Listing provided courtesy of K. C. Bailey Realty. Listing information © 2019 Mid America Regional Information Systems, Inc.